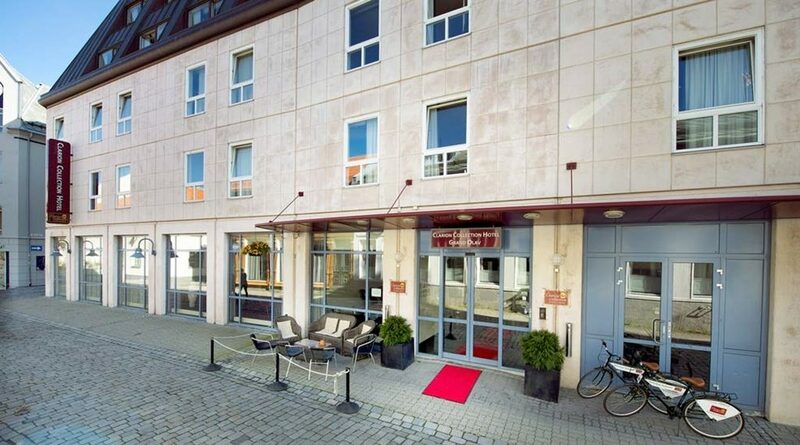 The Clarion hotels in Trondheim provides rooms at special rates for the conference. These rooms can be reserved directly upon registration in the registration portal. All rates includes breakfast buffet, and payment are done directly the hotel during the conference. Please see brief descriptions of the hotels below. Note that there are several major events in Trondheim the same week as iBOL2019, so please register and book rooms early to ensure that you have a place to stay. In addition, the city of Trondheim offers a wide range of accommodation options. Hotel prices range from about USD 100 upwards for single rooms and usually include breakfast. The hotel standard is generally high to very high. More reasonable accommodation in shared rooms with bunk beds is available in the period of the conference and typically cost USD 40-50 per person/night. The Trondheim Vandrerhjem is one such option. Our conference venue is the Clarion Hotel and Congress, Trondheim. 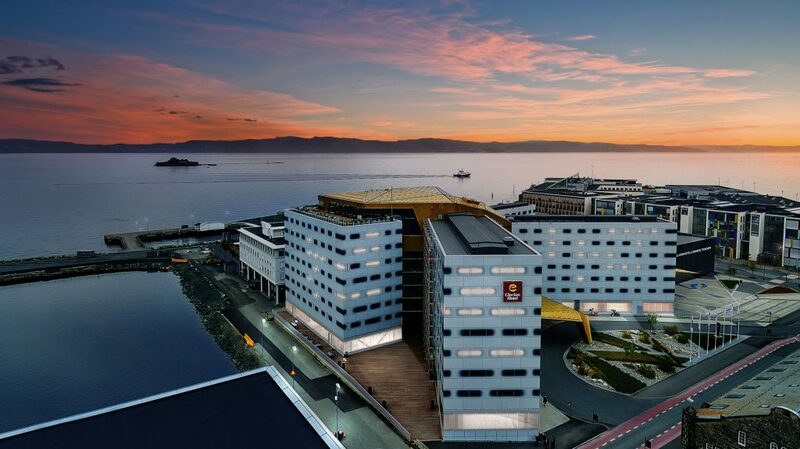 The hotel opened in April 2012 and is one of the largest convention hotels in Scandinavia. It features a convention area of 3,000 m2 (32,000 square feet). The attractive harbour location is close to Pirbadet, the largest indoor swimming pool facility in Norway, as well as Rockheim – the national museum of popular music. The hotel has, despite its size, a friendly atmosphere and good restaurant capacity. The Sky Bar on the 9th floor has a roof terrace of 190 m2 (2,045 square feet). Here you can enjoy a spectacular view of the city centre and the Trondheim Fjord. Room prices, including breakfast buffet: NOK 1326 (single), NOK 1431 (double). 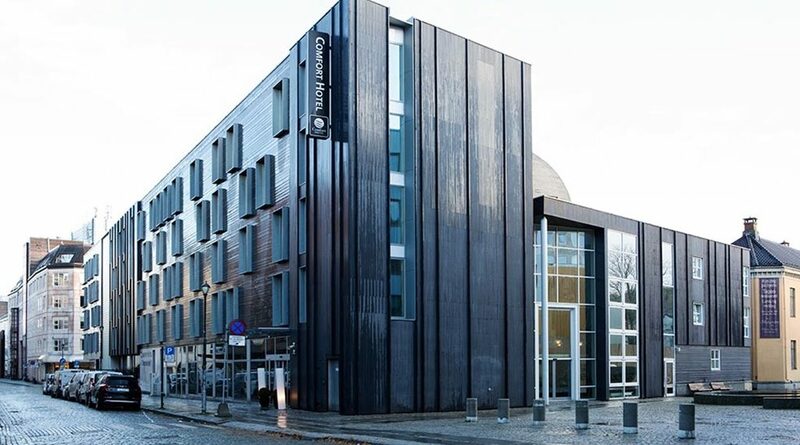 The Clarion Collection Hotel Grand Olav is located in the city’s rich cultural centre, right next door to Trondheim’s large concert hall, Olavshallen. The hotel is a 5-10 min walk from the conference venue and centrally situated to explore Trondheim’s shops and restaurants. All guests can enjoy the complimentary Evening Meal, every day. Room prices, including breakfast buffet: NOK 1380 (single), NOK 1485 (double). The Comfort Hotel Trondheim is located in the centre of Trondheim, right by the Nidelva river and the Bakke Bru bridge. The hotel has a gym, meeting rooms and a lobby shop. Many things are within easy reach when you stay at this hotel, with just six minutes to the central station and the airport bus terminal just around the corner. The conference venue is 12 minutes walk away from the hotel. Room prices, including breakfast buffet: NOK 1219 (single), NOK 1324 (double), NOK 1534 (triple).